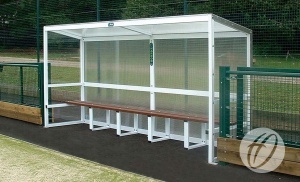 Traditional aluminium team shelter with bench seat. 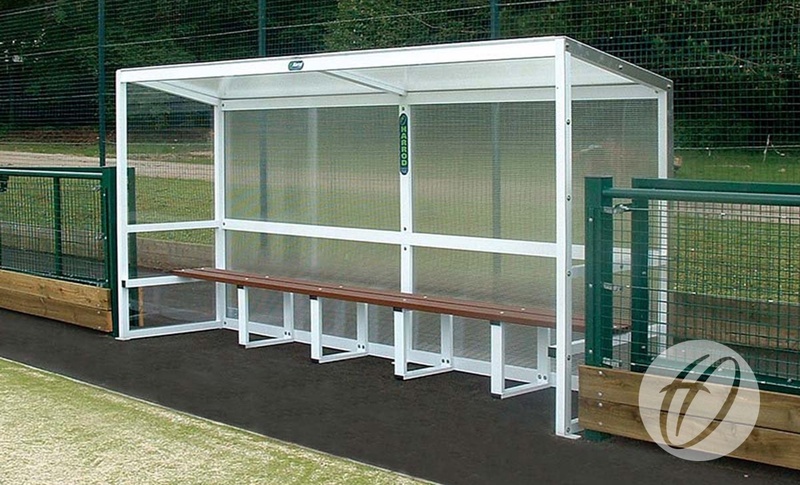 Made from 50mm square and 75mm x 25mm aluminium section. 10mm thick multi-wall ribbed polycarbonate top and back panels. 3mm thick clear polycarbonate sides. Aluminium flashing provides a neat finish. Bottom bars are 100mm off the ground to aid ventilation. 1.9m high with external depth of 0.9 metres. Team Shelter Anchor For Aluminium Team Shelters.